Jude 3 "...it was needful for me to write unto you, and exhort you that ye should earnestly contend for the faith which was once delivered unto the saints." We have received official word that both Dallas Theological Seminary and Southwestern Baptist Theological Seminary (SWBTS) will accept our Master of Divinity Degree for those desiring to complete the Master of Theology (ThM) which would lead toward their PhD at that institution. We deeply appreciate SWBTS accepting our program and accreditation. 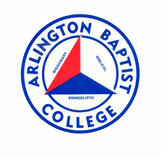 We are excited to bring graduate studies at Arlington Baptist College to a whole new level! EFFECTIVE FALL OF 2017, TUITION WILL INCREASE TO $405.00 PER SEMESTER HOUR FOR NEWLY REGISTERED STUDENTS. Current students in either the MDiv or MABTS program will pay the current rate. It is our priviledge to provide an affordable, accredited, and relevant program to meet your continuing educational needs. The Master of Arts in Biblical and Theological Studies (MABTS) and Master of Divnity (MDiv) Degrees at Arlington Baptist College are designed to address current theological issues with a biblical response. We will engage in an academic, respectful, and relevant manner to issues that undermine the fundamentals of the Christian Faith. The courses are set up in a seminar format that will allow the Christian Professional to complete their graduate level education without leaving their current employment. May God truly bless your pursuits. If you have further questions, please feel free to contact Arlington Baptist College.